Published May 14, 2015 at 553 × 737 in Autumnal trees in my back yard. April 2015. 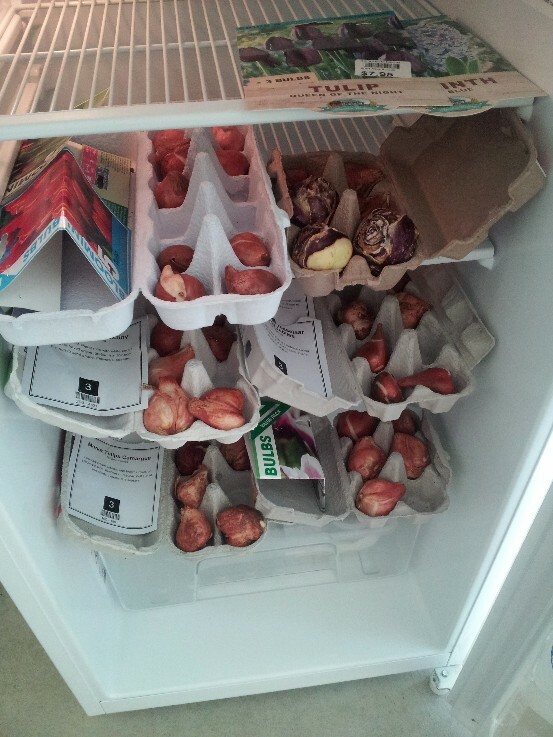 The shed fridge comes in handy for taking the overflow of tulip bulbs from the household fridge.